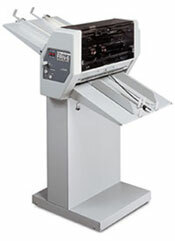 Standard FRN-6 Numbering Machine - Roberts Business Machines, Inc. 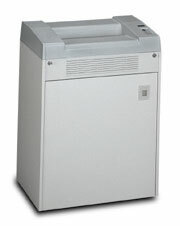 The Standard FRN-6 is the economical choice for smaller in-plants, instant or commercial print shops. The sheet spacing system uses electronic pulses to ensure accurate registration. The top-feed friction feed system is extremely easy to set up and maintain even when numbering multi-part sets. 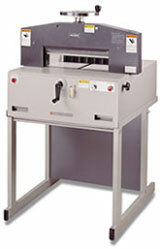 The in-feed and delivery trays fold away for space-efficient roll-away storage. Each FRN-6 comes with a Leibinger reverse numbering parallel head. * parallel and convex heads can be run simultaneously, but not on the same collar. ** smaller sheet sizes possible depending on application.